was written to fill the need for a traditional (i. e., Elizabethan) language adaptation of the U. S. 1979 Book of Common Prayer. Thus it renders into traditional language those services (e. g., baptism, marriage) for which only contemporary language versions are provided in the 1979 BCP. It also includes a number of services not found in the BCP, primarily of interest to Anglo-Catholic parishes. More information may be found in the Foreword, below. 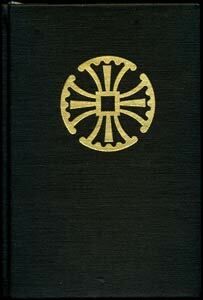 Parts of the Anglican Service Book were originally hosted online at orthodoxanglican.org, but that site no longer exists, so those portions, plus additional parts, are now presented here. The book is out of print, but should be available used from Amazon.com or Abebooks. Thanks are due to Richard Mammana, who digitized much of the material here. The years since the first "trial use" liturgies of the Episcopal Church have seen great and diverse experimentation in the forms of worship used in this Church. Many people continue to express a heartfelt preference for "traditional language" in worship, the majesty of which speaks to the soul in a way in which modern English cannot. The 1979 Book of Common Prayer emerged in the midst of the liturgical renewal movement which began early in the twentieth century and which produced the liturgical reforms of the Second Vatican Council. While the prayer books of the Anglican Communion from 1549 had already addressed many of the concerns of this movement (such as the use of the vernacular and a daily office for the use of all), the movement did have a profound effect on prayer book revision in this church. The 1979 BCP provides many welcome enrichments to the liturgical life of the church: Compline and the Proper Liturgies for Special Days to name but two. Two thrusts of the liturgical reform movement have been to emphasize the truths of God's immanence and the importance of the corporate nature of worship; the use of modern, or common language has been a major part of this effort. To a certain degree, however, this has served to de-emphasize the transcendence of God and the importance of the individual relationship between creature and Creator (the call of the individual to holiness). The traditional liturgies of the Church seek to keep these forces in balance, and language plays an important role in this effort as well. For many churchmen, God remains "Thou", familiar, yet other — One who calls us out of our current condition and would raise us to new life in Christ Jesus. The rubrics of the current prayer book provide for traditional language without providing all of the necessary texts: "In any of the Proper Liturgies for Special Days, and in other services contained in this Book celebrated in the context of a Rite One service, the contemporary idiom may be conformed to traditional language." and "When it is desired to use music composed for them, previously authorized liturgical texts may be used in place of the corresponding texts in this Book." (page 14, 1979 Book of Common Prayer). These rubrics cannot be followed without the use of "supplemental texts", as the traditional idiom involves more than substituting "thee" and "thou" when addressing God; syntax and cadence are also important. Since 1976, when the proposed book was issued, many parishes have sought to work within the confines of these rubrics, while not having the resources in one book to make this easily possible. Congregations have produced many photocopied drafts of service material and parishioners have had to juggle prayer books, parish mass books, and bulletin inserts. Needless to say, this has not made it easy for newcomers or regular members to follow services. The purpose of this work is to facilitate corporate worship in the traditional idiom as provided for in the prayer book: it is a devotional enrichment in the tradition of the Anglican and American missals, and St. Augustine’s Prayer Book. This book is principally designed to be a pew edition, although individuals will find it helpful in keeping the office and for devotions. The Anglican Service Book is a compilation of material from a number of sources focused around the structure of the 1979 Book of Common Prayer. It provides all Rite I services, together with rites, offices, and services in traditional language which appear solely in the modern idiom in the 1979 BCP. Additional supplementary service material, commonly used in many parishes, has been included, in the hope that this work might meet devotional needs which are not addressed in the prayer book. Brief essays on the sacraments and services of the Church have been placed before the rites as a teaching tool. The Psalter of the 1928 BCP has also been included to provide the texts in the traditional idiom. Throughout the book (except in Additional Devotions), material within a rite which is supplementary is delineated by a line along the left hand side of the page or by brackets and italics. In a few places, however, traditional forms of services have been substituted or added (e.g. Communion of the Sick and the Absolution of the Dead). Most of the supplementary material is from the 1928 and older editions of the Book of Common Prayer, The Anglican Missal, and The American Missal. Almost all of it is commonplace in the worship life of many parishes and is therefore included for their convenience. To facilitate corporate worship, effort has been made to make the services as easy to follow as possible and conventions such as bold-face type for all congregational responses have been adopted. A few elements in the prayer book are beyond the scope of this project, specifically the Lectionary, the Ordination of a Bishop, and the Catechism. Other resources are available for those items, and hence they are not included here. This project began at The Church of the Good Shepherd in Rosemont, Pennsylvania, from the need to consolidate service material in a form which would be easy to follow. It quickly became apparent that there were many others in the Church who shared our need, and assistance has come from a number of sources ranging from the editorial advisory board to typesetting, proofreading, and bookkeeping. These contributions are gratefully acknowledged.